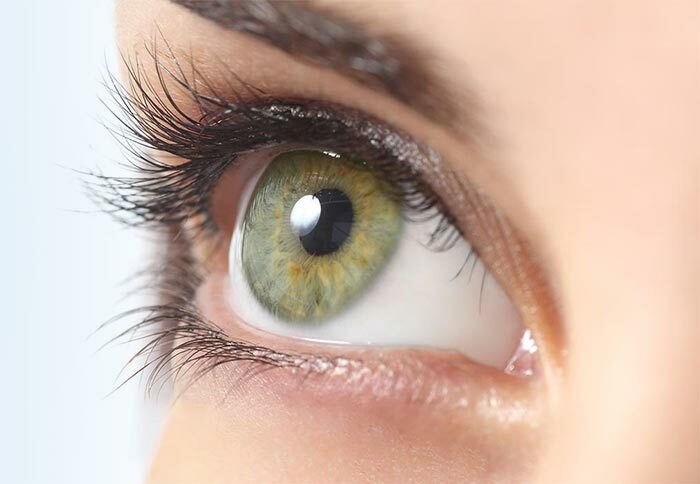 A quality assurance review at the Rocky Mountain Lions Eye Bank found that 50% of corneas recovered from organ donors were not transplantable due to stromal infiltrates. An infiltrate is a response to infection that will only occur prior to death. Given that organ donors are maintained on a ventilator up until the time of organ recovery, this low transplant rate raised suspicions among the Quality Assurance staff. Another review was conducted, covering over 13,000 donor corneas. Corneas recovered from donors who were on a ventilator prior to death were 3 times more likely to have an infiltrate. Additionally, in 35% of these ventilated donors, the protective epithelial layer of the cornea had become dry and sloughed away, putting the cornea at risk for infection. The concern moved from "why do corneas from ventilated donors have a lower transplant rate?" to "what's happening to those patients on a ventilator who recover from their illness?" Existing literature on eye care in critical care settings is minimal, but every study points out the same issues. One study found that up to 60% of ICU patients suffer ocular surface disease when on a ventilator under sedation for longer than 48 hours. Another study found that one-third of ICU patients who develop keratitis while on the ventilator suffer vision loss. This same study found that in 90% of the corneal infections in the ICU, the same organism was cultured in the cornea as in the sputum of the patient — implying that most corneal infections are inoculated with the patient's own flora. The Rocky Mountain Lions Eye Bank turned to the University of Colorado Department of Ophthalmology for help. Dr. Darren Gregory, a corneal fellow, researched and composed an eye care protocol for this population of patients. The eye bank hopes this protocol will not only improve the transplant rate of corneas from this pool of donors but will also help to preserve the sight of those patients who recover from their illness and go home.